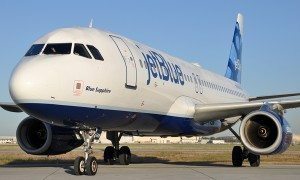 JetBlue announced it is further growing its presence at Fort Lauderdale-Hollywood International Airport (FLL) with plans to operate an average of 140 daily flights in the winter in the coming years. The expansion will result in roughly 75 percent growth from the carrier’s current size at its South Florida focus city. 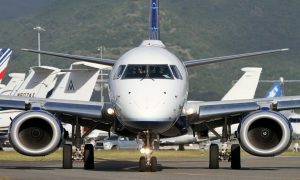 As part of JetBlue’s ongoing expansion the airline is adding new nonstop service to Louis Armstrong New Orleans International Airport (MSY) and increasing the number of flights to Nassau, Bahamas’ Lynden Pindling International Airport (NAS). The airline will now operate nonstop flights to 46 destinations from Fort Lauderdale-Hollywood. More flights and new nonstop destinations are set to be announced later this year. Added service at Fort Lauderdale-Hollywood comes as JetBlue continues to upgrade its home at Terminal 3. “The Broward County Aviation Department is elated that JetBlue is making such a huge commitment to our community with their proposed increases in service to benefit travelers in and out of FLL”, said Kent George, Director of Aviation at Fort Lauderdale-Hollywood International Airport.